Photo: Knut Buen on the left, with Gåte to the right. Knut Buen (1948) has played the Hardanger fiddle since the age of nine, and is one of the most important performers and collectors of traditional folk culture in Norway. Using traditional folk music as an inspiration, he has authored approximately 100 songs with original melodies, composed numerous pieces of fiddle music (slåtter) – he has about 300 unique musical compositions registered in Tono. In 2017, he was made a Knight of the Royal Norwegian Order of Saint Olav, and a Professor II at the Norwegian Academy of Music. 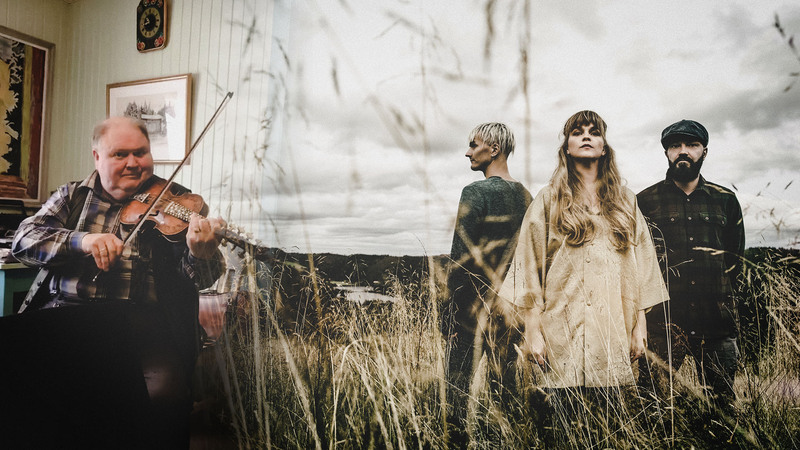 Knut Buen says that he considers every original and novel variation of traditional and new material as an important step forward for a musician. Gåte sees this as indicative of an artist who is grounded in traditional folk music whilst having an open mind regarding new and modern impulses. Knut Buen is looking forward to further collaboration with Gåte, and is pleased to write new texts for the band. Gåte is extremely honoured to be working with an artist of such high standing and experience as Knut Buen.